Capturing new accounts is a top objective of 60 percent of enterprise sales organizations worldwide. Capturing new accounts is a top objective of 60 percent of enterprise sales organizations worldwide, according to new research. CSO Insights discloses this finding in its “2014 Sales Performance Optimization Study.” The 20th annual report polled 1,200 companies worldwide on more than 100 sales effectiveness-related metrics. Reduce sell cycle time - 20.6 percent. The research adds that nearly half (49.7 percent) of respondents engaged in sales and marketing have an agreed-upon “formal definition” of a qualified lead. This compares with 31.1 percent who agree on an “informal definition.” An additional 19.3 percent of those polled have no agreed-up definition. When asked what percentage of total leads come from sales, marketing and other sources, close to half of respondents (46.9 percent) say such leads are “self-generated by sales reps.” An additional 25.9 percent and 21.3 percent, respectively, flag market-generated leads and customer referrals/other. 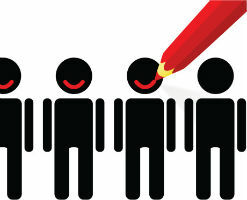 Customer service contributes just 6 percent of leads.